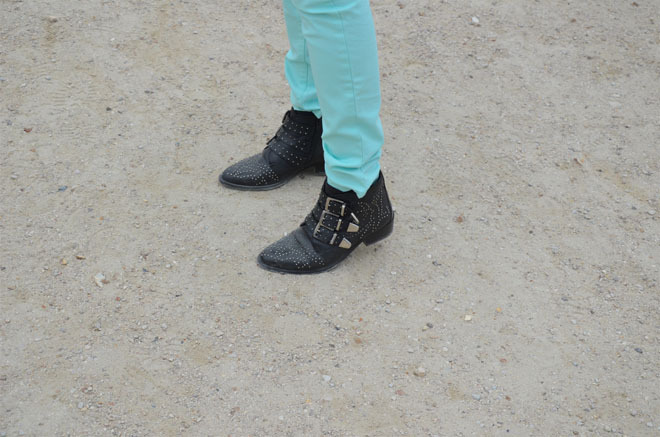 The first day we went street style shooting i wore my new mint pants with a jeans shirt. I just love the pastel & jeans combination! I Also tried on my new Topshop earcuff and collar for the first time. Triple collar = triple fun! I toughened this pastel look up with my studded Sacha boots. Pictures were taken by my lovely fellow blogger Lien from The Fashion Wolf. ik ben nie zo'n fan vd mint-pants in het geheel :) je hebt het wel leuk gecombineerd met het jeanshemd! 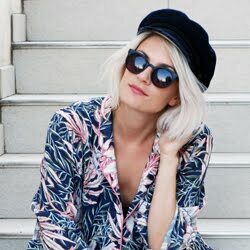 Hopelijk had je een fijne tijd in parijs + i love love your ombre hair! love it! ik moet dringend om een mintjeans, en een lichtgele! maandag = shoppen! You have lovely style! I love the color of your pants and all your jewelry!